If you’ve ever wondered why you seem to fail on fad diets, it may be comforting to know that you may not be entirely to blame. It comes as no surprise that the weight loss industry is a lucrative business for those selling “new and improved” pills, shakes and supplements. 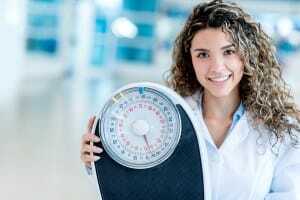 Just as you need to be careful in health stores and vitamin shops, you should also be cautious about which physician weight loss programs you trust. At Dr. Urshan’s Medical Weight Loss Clinic, we only care about making our patients feel “new and improved” through our doctor-approved weight loss technology and weight loss system**. Instead, we re-program your body’s natural set weight and balance your hormones to make fat loss a priority for all of your body systems**. Natural is always better, and when you have your body doing the work for you, you can focus on enjoying naturally increased levels of energy, boosted mood and reduced appetite**. In addition, you can enjoy the elevated confidence and happiness you feel from seeing transformative results**. Our patients get excited about the fact that they no longer seek help from gimmicky pills, shakes, shots and supplements. If you’re ready to try something that’s been proven to work time and time again, contact Dr. Urshan today to schedule your initial physician weight loss consultation and join hundreds of happy patients from St. Petersburg, Clearwater, Westchase, Palm Harbor and beyond as you work towards and achieve your goals in a natural and sustainable way.